Airports can be boring. At many, the most exciting thing to do is wait in line for a coffee. But a few airports buck the trend and offer fascinating, fun, or relaxing options. So why not careen down a four-story indoor slide or take a brewery tour? Admire some of the world’s most famous art or hit the golf course? Whether you are waiting out a long layover or have simply arrived at the airport with time to spare, these picks beat a large latte to-go any day. You hear stories about people who get stuck in airports for weeks or months, and if it ever happens to us, we're hoping it's at Changi Airport in Singapore. 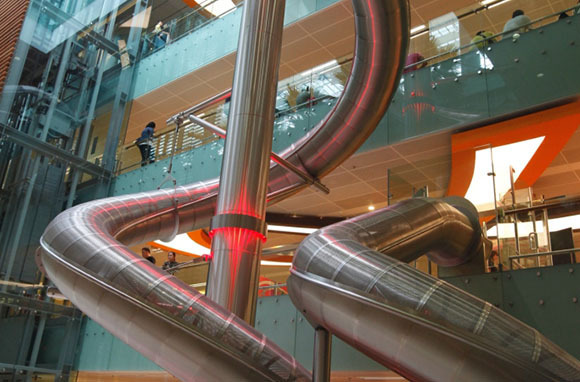 Among its offerings is a four-story indoor slide suitable for kids and adults. There's also a butterfly garden, a rooftop pool (and rooftop bar), more than 300 shops, and free movie theaters. At airports, brewpubs are a dime a dozen. But Munich International Airport takes that extra step and actually makes beer on premises. The Airbrau brewery crafts its beers in compliance with the Purity Decree of 1516 and makes beers ranging from Jetstream, a new pilsner, to Aviator, a double bock. 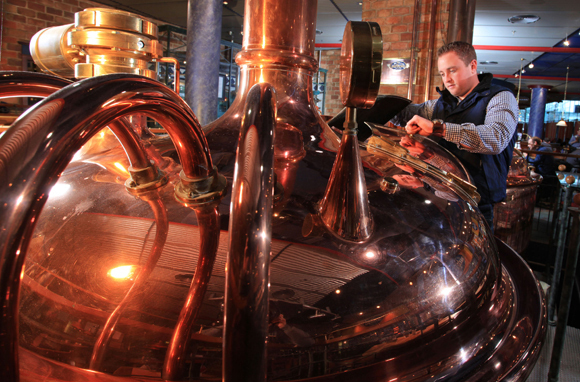 If sipping is not enough, you can take a brewery tour. Now that's not a bad way to spend a layover. Next time you're passing through Zurich Airport, you're invited to take a peek behind the curtain. Airport tours offer a memorable way to see what it takes to move more than 2 million passengers a month. Hop a bus on a sightseeing tour to see the runways, hangars, cargo areas, and even a nature conservation area between runways. You'll also get a close-up of airplanes landing and taking off. Additional guided tours take visitors through the check-in process and on a tour of the aircraft parking areas. 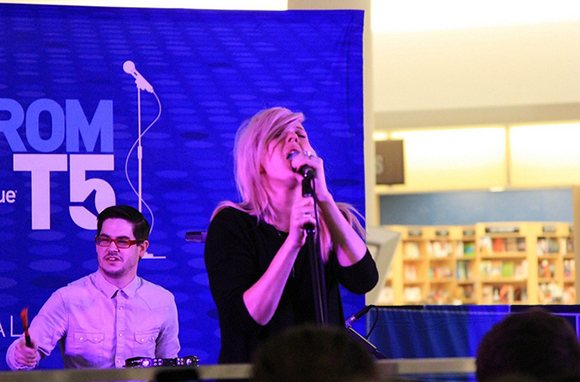 Since its debut in 2009, JetBlue's free Live From T5 concert series has welcomed acts including Taylor Swift, Sarah McLachlan, and The Wanted. Performances take place post-security at JetBlue's terminal at JFK Airport and are exclusively for JetBlue passengers and contest winners. A concert before takeoff? There's a good reason to hope for a flight delay. 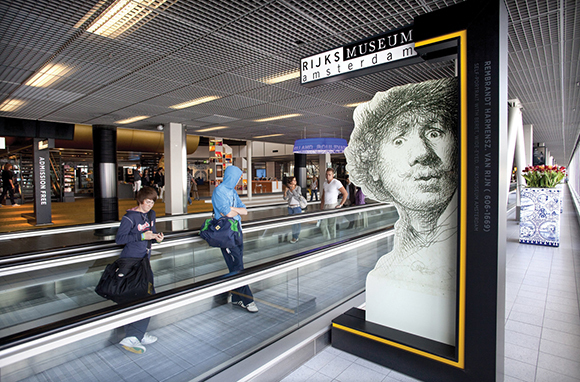 Schiphol brings the best of Amsterdam to the airport with its outpost of the Rijksmuseum. The museum is the first in the world to have an annex at an airport, and the airport is the first to have a major museum in its terminal. The museum is open daily from 7 a.m. to 8 p.m., and admission is free. 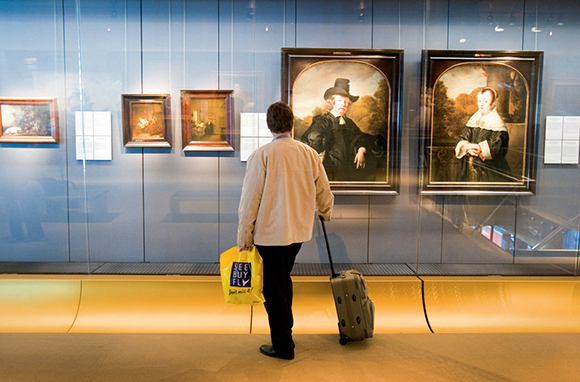 In addition to the permanent collection of Dutch masters, temporary exhibits rotate regularly. Airports are stressful, but San Francisco International has just the fix: a yoga room. As far as we know, it's the world's first airport yoga studio, and since its January 2012 debut, it has proven to be very popular with passengers. Located post-security in Terminal 2, the relaxing room is quiet and dark, with wooden floors and mirrors along one wall. Yoga mats are available, and there's space for five or six people to get their asanas on. Travel is a cultural experience, so why shouldn't the airport be as well? At Incheon International Airport in Seoul, passengers get an introduction to local customs at the Traditional Korean Cultural Experience Zone. Visitors can learn how to make crafts such as fans and "lucky bags." There are also performances, including masque dances and twelve-string Korean harp recitals. Admission is free. Missed the aquarium on your visit to Vancouver? Never fear, because Vancouver International Airport is home to two massive satellite Vancouver Aquarium exhibits: a 30,000-gallon aquarium housing more than 5,000 creatures and a separate aquarium devoted entirely to jellyfish. Check out the larger tank, located on level three in the International Terminal, to spot wolf eels, sea stars, rockfish, and giant kelp. Airports are not nap-friendly places. Unless you're excellent at sleeping upright, you're usually out of luck. But at London Heathrow, a nap means never having to settle for a stiff neck. Located before the security checkpoint in Terminal 4, Yotel offers "cabins" complete with en suite bathrooms and comfy beds from £25 (about $40) for four hours of blissful sleep. Post-security in Terminal 3, you'll find twin and single en suite napping rooms with showers. Suddenly, an LHR layover doesn't seem so bad.